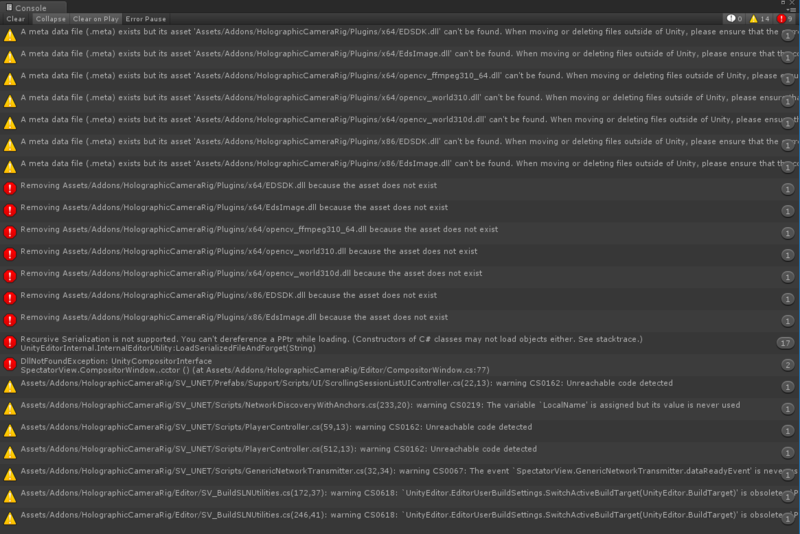 Calibration and compositor compile great and copying the dlls with the included script seem to be working just fine. CopyDll script's output seems to be correct when matched against others online. We are completely lost about why we're "missing the DLL"... Can anyone help us? As mentioned in that git issue eirikhollis recommended using very strict versions of Unity and MR. With that, we were able to get the Unity project running without error (only a few warnings) yet still cannot get the Hololens or camera feed to work within the project.